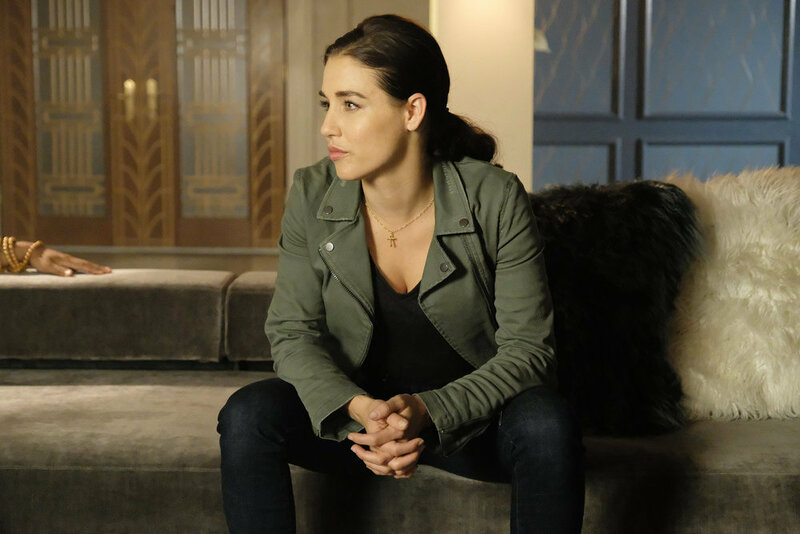 'The Magicians' 4x03 review: Gods, monsters, teddy bears, oh my! 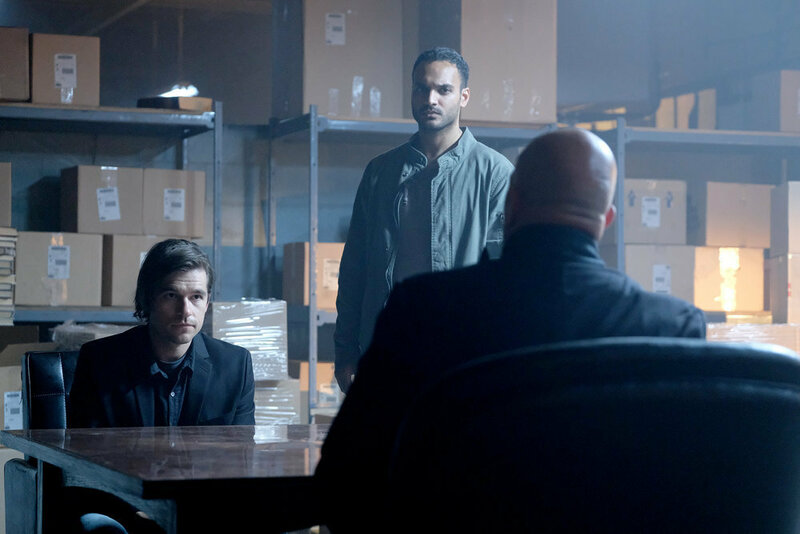 A lot happened in ‘The Magicians’ 4×03: Gods, monsters, teddy bears, oh my! 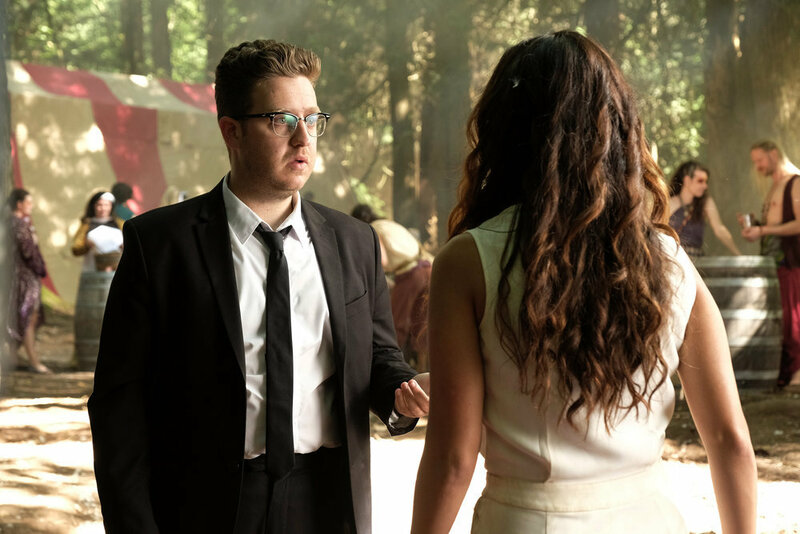 Monster Eliot is god hunting in The Magicians 4×03, Margo Hanson’s willing to serve up said gods if it means saving him, Kady and Penny pull off a bank heist, and Quentin wins the unluckiest bear in the world. Getting the band back together again has a hit a few snags. Julia can’t do magic. Alice is stuck in the Library and the spell that was supposed to protect everyone from the Monster is a bust because, well, the Monster is in Eliot, who’s with pretty much everyone else. Oh and, Marina was helping because she wanted something (I know, I know, you’re all shocked). One of the biggest challenges on a show like this is managing multiple characters and storylines while also keeping things interesting. 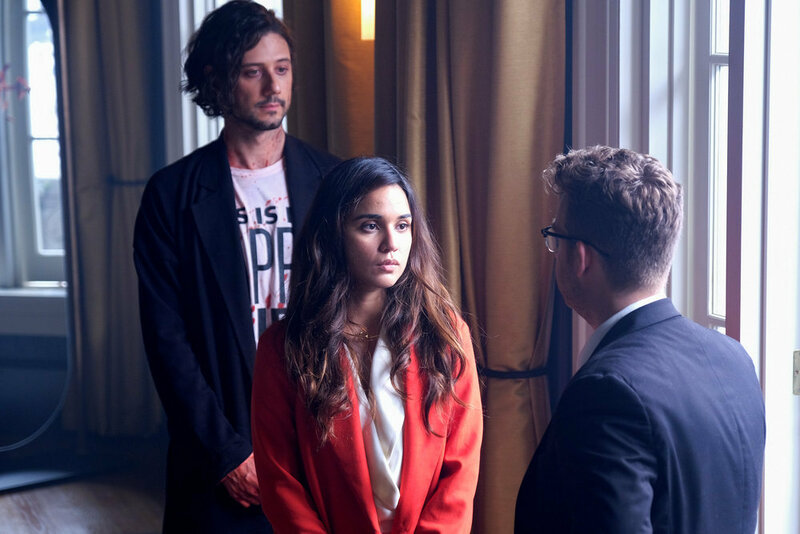 The Magicians 4×03 somehow manages to combine a bank heist, a jailbreak, deicide, a human Luck Dragon, and emotional moments that tear at your heart pretty effortlessly. That’s some next level magic. I have to admit something — I’m upset with Josh because he’s more worried about Bacchus than saving Eliot. I mean, I understand he’s staring down having to serve up a god for slaughter and that he’s the “voice of reason” taking the “Eliot probably isn’t in there.” side of the argument, but it still peeves me. Still, his doubts and unwillingness to “nutsack up” are what give Margo the fire needed to see this through. It’s not that we want to see Margo kill anyone, but someone’s got to do the dirty work around here and Margo’s here to make sure it happens. A High King’s work is never done. In the end, the Monster kills Bacchus and gets back whatever the god took from him, but we’re left in the dark as to what that is. Show of hands, did anyone else think it looks like one of the Sankara Stones? Julia and Quentin’s friendship was one of the first things we get to experience when The Magicians debuted and we’ve watched it hit some serious bumps in the road across three seasons. 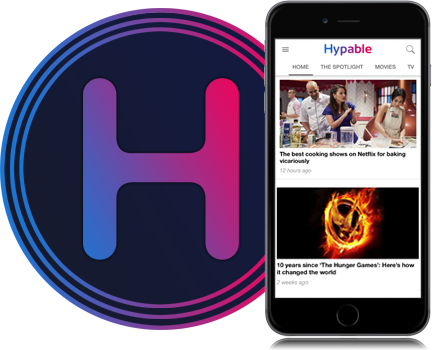 But these two always manage to find their way back to one another and this episode finds the time to spotlight it in the midst of some seriously bad circumstances. So much gets explored in a short amount of time as she babysits him to keep him safe from impending doom. They’ve both sacrificed so much to bring magic back. She’s sacrificed her magic and Quentin… turning magic back on meant the return of his father’s cancer. Both of them have lost integral pieces of who they are and they know it. On the plus side, I never knew how badly I wanted to watch a game of “How many different ways can we almost kill Quentin Coldwater”, so that’s a plus. Those disguises, y’all. I swear Penny looks like Mario. It killed me. It would be easy to look at this heist as just a heist but there’s so much that went on in a small amount of time. First off, we got introduced to the game of Push which looks like the coolest game of War ever. We were also introduced to Frankie the Luck Magnet (played by the delightful Zach Cherry aka Ethan in YOU) and the idea that luck is a magical discipline. That may come in handy in the future but even if it doesn’t, it’s pretty cool. I hope we see him again. We also got a lesson on how the Library is doling out magic these days and who’s got the power. It turns out that the woman Penny and Kady swiped the Black Card from is Beatrice McAllister (Deborah Ramsay). Given that we know the McAllisters have carte blanche with the Library and that Irene McAllister is hell-bent on finding our Magicians, this doesn’t feel accidental. Most interestingly, it turned out that a conversation between Kady and Penny about Marina’s role in the death of Kady’s mother was a lot more than just a discussion. It sets up a shift for Kady as a character as she gives in to her impulse for revenge and shifts the teddy bear’s bad luck magic to one of the coins they end up giving to Marina. Now Kady has a working Black Card, Marina’s apartment, Frankie’s good luck and her revenge all at once. But at what cost? There was definitely a shift in her attitude. I’m also wondering how bad are things going to get for Marina and what happens when she tries to use that particular Dewey? Seeing Margo and Eliot together again is like some strange funhouse mirror madness. Technically, it’s true, but they couldn’t be farther apart right now. And yet, I find their dynamic really interesting all the same. Monster Eliot is definitely a monster, but I get the feeling that he’d immediately kill anyone who tried to talk to him the way Margo does. Margo can call him out and stand toe to toe with him even when she’s terrified because anger and fear make Margo something stronger and fiercer than the Monster most of the time. It also means he can cut her more deeply than anyone, but Margo’s determination to save Eliot is stronger than her fear. Stronger than Josh’s guilty conscience. Stronger than anyone else’s argument that Eliot may not be saveable. Whoever Margo was when we first met her and no matter how selfish she used to be, High King Margo is in full force these days and she’s a glory to behold. Alice is a self-rescuing princess. I know we’re all supposed to be mad at Alice and that she’s done horrible things, but as I said last week, something has definitely shifted with her. Alice knows she fucked up big time and she’s using every weapon in her arsenal to make things right — Deadening paint in a magic lock, you gotta appreciate that. But the biggest shift for Alice becomes clear once she realizes everyone’s books are being revised because The Great Black Spot has ended. She needs to get those books out of the Library’s hands to save her friends and even when she’s given the chance to escape the Library, to literally run away with Santa, she stays. That says a lot. And that’s not even everything that happened in The Magicians 4×03. I know I missed things and I know there’s more I could say, but I’m already far too traumatized to go on. Of course, that’s one of the things that makes me love The Magicians so much. I care. They make me care deeply about everyone and everything that happens. So I can never stay mad at them. 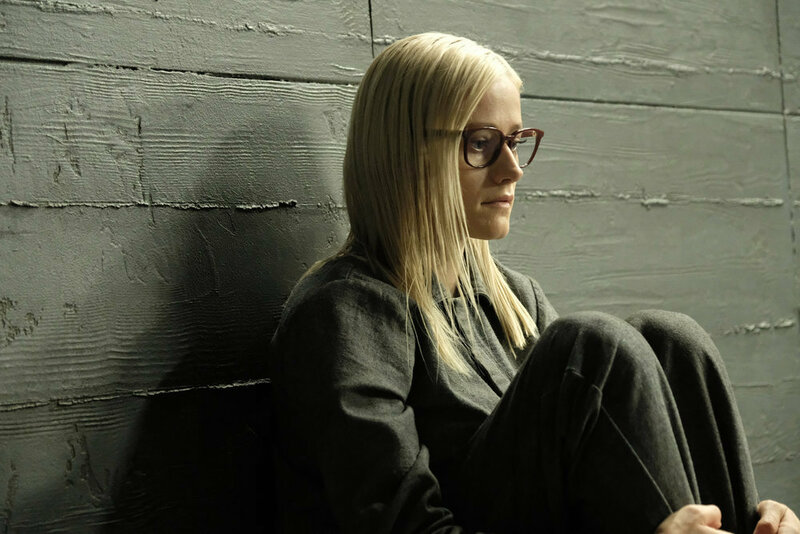 What was your favorite moment of ‘The Magicians’ 4×03?